Wouldn't it be so cool to see YOUR precious furry child smiling back at you the next time you turn on your TV? Everyone has the cutest pet ever - I can't disagree! So, why not share them with everyone else and win cool prizes in the process? Now's your chance! 1-800-PetMeds® is hosting their Calling All Pets Sweepstakes and Contest and your pet could star in their next TV commercial. Entering the contest is super easy. I visited the entry page and all you have to do is fill out some information about yourself and your pet and submit a photo. 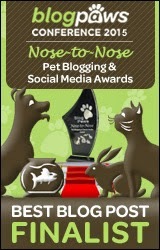 The Calling All Pets Sweepstakes and Contest is open for entries until May 12, 2015. Each week, two random winners will be selected from each category to win a prize and continue on to the voting phase (total of 4 pets each week). Entries will be included in the weekly drawing for the week the entry was received and all following weekly drawings. Only one entry per person, per category, is allowed each week period. 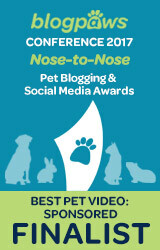 Not only does your pet have a chance to be a TV star in the next 1-800-PetMeds® commercial, but they can win prizes too! Weekly drawing prizes will include a 3-pack of flea and tick preventative, a pet first aid kit and $50 gift certificate to 1-800-PetMeds® (Total ARV $145). There will be 24 of these packages awarded for the 24 weekly winners. 12 cats and 12 dogs from the weekly drawing winners will continue on to the next phase of the contest where their fans can vote for them. Voting will be open May 20, 2015 - June 3, 2015. 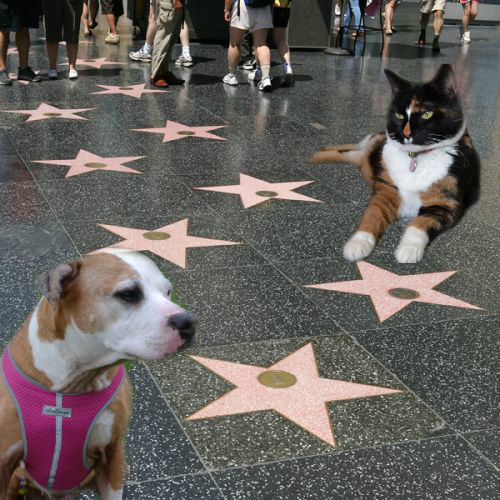 Not only do the 2 winning pets get to star in a 1-800-PetMeds® commercial, but they will also win a Sony 55" LED 2160p Smart 3D 4K Ultra HD TV valued at $2,999.99 to watch themselves on after their commercial goes live. That is one pawsome prize! The Calling All Pets Sweepstakes and Contest is open to only legal residents of the fifty United States including the District of Columbia who are at least 18 years of age or older (19 in Nebraska, Delaware, and Alabama and 21 in Mississippi) on date of entry. There are a lot of rules for the contest, so be sure to check out the official rules page at 1-800-PetMeds if you have any questions about entering. You can enter your pet in the 1-800-PetMeds® Calling All Pets Sweepstakes and Contest by clicking here and then clicking the red "Enter Now" button. There are already so many amazing entries and we can't wait to see who wins. Could it be your best furry friend? Good luck! This post is sponsored by 1-800-PetMeds®. We are being compensated to help spread the word about the Calling All Pets Sweepstakes and Contest, but Pawsitively Pets only shares information we feel is relevant to our readers. 1-800-PetMeds® is not responsible for the content of this article. Well no, that does sound very cool!!! Wow! There sure is lots of opportunities to win with this contest! I think Veruca has all the necessary star qualities! Well, I'm still thinking about it... I might enter Callie. Shiner, I don't think would appreciate strangers coming to her house to film her so that's why I haven't entered her lol. And I would totally enter Jack and Gus but there wasn't a rat category! Allie: Woo-hoo! Mother, I need a fresh mani/pedi, STAT!! Good luck to all who enter. Have a terrific Tuesday. SO cool!!! Good luck to everyone! I SO wish this was in Canada too! This contest sounds like a lot of fun! I'll go and see about entering my babies into it. I saw this and I am so tempted..... Great post! Super cute. 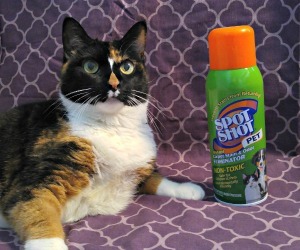 Are you submitting Shiner and Callie for the commercial too? I don't think Shiner would be the best candidate for this one lol... while I'd love for her to enter, she doesn't like strangers in her home or on her property. Maybe Callie though! This sounds like a fun contest! We don't usually enter contests like this, but good luck to everyone that does!